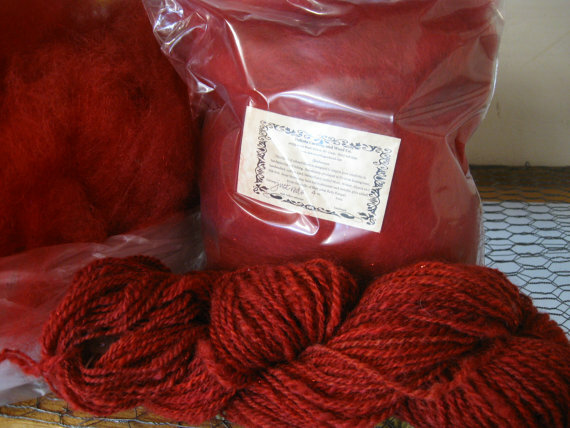 This very soft, vibrantly red blend of wool, mohair and alpaca fibers is carded into a cloud for handspinning an artful yarn. This blend will also work well in felting projects. Nylon shimmer and red colored glitz are added for extra shine. 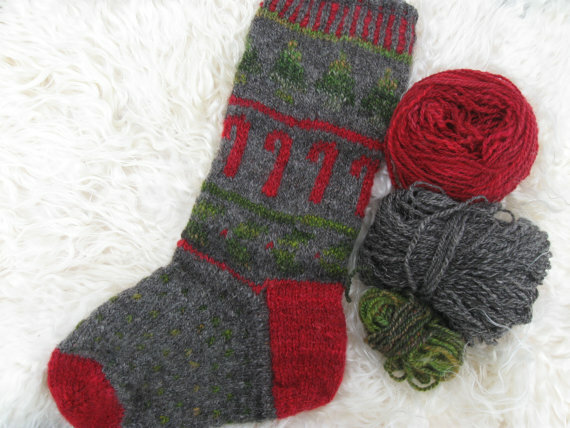 This makes an excellent yarn to knit or crochet into holiday stockings or valentine hearts. The yarn that is pictured is an example of how this blend transforms into yarn and is not included in this sale! Just Reds is made by feeding washed wool, mohair, alpaca, glitz & angelina into a carding mill which opens up the locks, removes vegetable matter and blends it as it passes through several carding rollers that card/comb the fibers but does not align the fibers parallel as in combed top. The wool you spin directly from this cloud will make a beautiful woolen yarn the same as is spun from wool roving. The animals whose fibers are in this blend were raised by shepherd's in the US dedicated to the fiber arts and to their fiber animals.